The home was built in the prestiges Arcadia area during the 50's Retro Era of ''Poodle Skirts'', Elvis and The Hotel Valley Ho of Scottsdale. The custom builders of Arcadia constructed brick homes with carports, and indoor hookups for washer and dryer The home has remained the same as it was built in 1952. There is an upside... it is priced for the buyer who wants to make their own improvements! Or the remodeler/investor who desires the location with the possibility of flipping the home. As others have done on the same block! 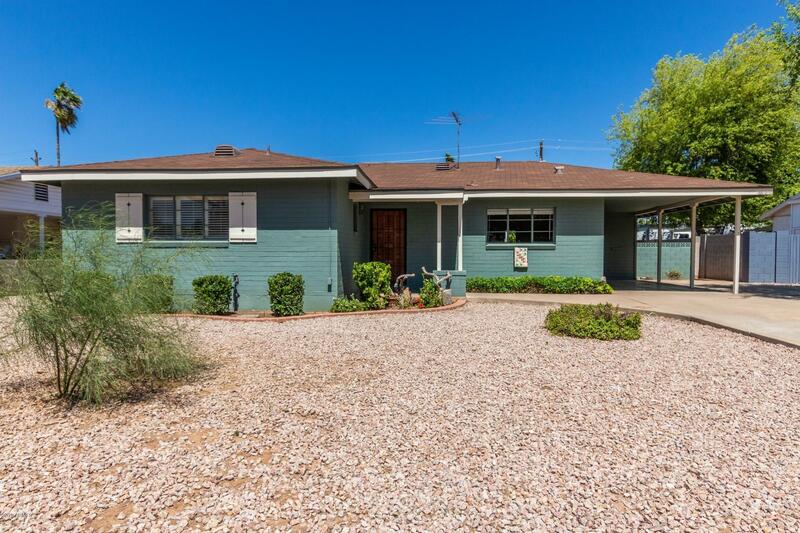 However for all other buyers the livable home offers a huge yard, awesome location, minutes away from Biltmore area and Sky Harbor. Close to popular eateries The Vig, LGO,Postinos.